Over the past decade, many young people have become excited about agriculture and have looked into exploring it as a career. Books like Omnivore’s Dilemma, by Michael Pollan, have become national bestsellers, and it seems like there are new documentaries about farming and food every week. However, farming can be a difficult occupation. A few months ago the New York Times put out an article titled Don’t Let Your Children Grow Up to be Farmers detailing the difficulty in making a living as an organic, or small scale, farmer. The article has sparked a dialogue among farmers, such as Drake Larsen, and farm advocates. Goals such as saving enough money to send your kids to college, or even getting and maintaining health insurance, can be a major challenge as a small farmer. This blog will look into ways for new or existing farmers to enhance their livelihoods. The five of us will post about potential challenges, opportunities and social movements pertaining to farmers in the coming months with the hope of starting a wider conversation on these issues. Jim, daunted by the prospect of making the financial and time commitment necessary to start a farm, has looked into different financial and education resources available to new farmers. Grady, lacking the knowledge necessary for running the day to day operations on a small scale farm, has investigated opportunities available for individuals to acquire that knowledge. Kathleen, a farmer turned graduate student, has looked into Value Added Products as a way for farms to find financial stability through diversification. Concerned with the health of the farm worker population, Devin is exploring current migrant health issues and access to care. And then, in order to understand how far the voice of the people have come in shaping the food and agricultural systems and what opportunities there in, Eben writes on public concerns and social movements in the food and agricultural system of the United States. 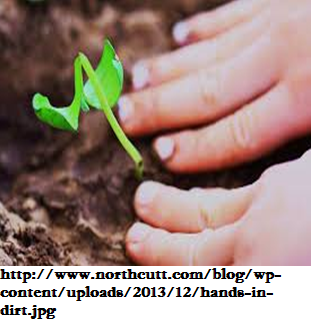 The five authors of this blog are taking a class together and decided to express our shared interest in agriculture, and the path on which it will continue to develop, in this blog. All of us are graduate students at Michigan State University. Four of us (Devin, Jim, Eben, and Kathleen) focus on community sustainability. Additionally, we are joined by a plant breeder, Grady, who will also share his insights. We hope that you’ll share some of your own thoughts with us and we can start to have a constructive conversation on some of these issues. Feeding the world to day and in the future has seen some challenging issues, especially inequity and depletion of natural resource bases. There have been several efforts (from biological to social) to ensure that the world develops adaptive capacities as well as the resilience in order to facilitate sustainable agricultural production (Baker and Crosbie 1994; Turner et al. 2011; and Furman et al. 2013). Significant among these efforts are the calls from the public against unfair practices against nature as well as actions to assist in alleviating some of the inequities. But, are we sure we like what we are doing in the food and agricultural system? In other words, do the people have a say in what becomes of food and agriculture? Well, lets take a quick look at two social food and agricultural movements in the United States of America (civic agricultural movements and animal right movements) and see if people mean anything in what we see today on the shelves of the supermarkets. Civic Agriculture Movement: The involvement of citizens in the entire food chain in a way to ensure that the system remains a part of the people is what is referred to as civic agriculture. This movement appreciates the strong community structure that used to mark American rural farming communities and aims at revitalizing this life. It allows farmers to appreciate the shared identity between themselves and consumers by linking farmers to other farmers as well as consumers with the goal of creating a community committed to sustaining the ecological and social aspects of production. It takes forms such as farmers’ markets, community-supported agriculture, value-added co-operatives, and community gardens. In civic agricultural communities, three major areas of impact have been identified as the footprints of civic agriculture and these are the intellectual, social and economic aspects of food production. Through farmer-to-farmer engagements that are promoted by civic agriculture, farmers are said to forgo competition and instead collaborate and freely share information with one another and this enhances the intellectual abilities on food production. And again, direct marketing, which comes through civic agriculture, also promotes social benefits out of the sharing of ideas by consumers and other farmers, as well as economic benefits by reshaping the local economy (Otto 2011; Furman et al. 2013; Chung et al. 2005; Obach and Tobin 2014; Lyson 2005; Wright 2006; and Lyson and Guptill 2004). Community Supported Agriculture (CSA): A way by non-profits, consumers and the government of the US work to expand access to locally-produced food with the view that, knowing the person that grows ones food and how that person grows it, is a way of ensuring social change and improving the environment. CSAs are noted mainly for managing labor, dealing with seasonality, and responding to shareholder expectations. CSAs use varied labor forms such as family-only, sharer volunteer labor, wage labor, and a mix of seasonal hired, intern, and volunteer help, as a way to remedy the situation. Also CSAs use technologies and practices that make seasonality an opportunity for farmers. For instance, the extension of seasons through hoop houses or development of new kinds of share types like for winter crops, and also deciding when local foods can be grown and sold and with what tools. Negotiations between growers and buyers with education of shareholders about farm operations help to address concerns about the quality of food (Nost 2014; Obach and Tobin 2014; Johnson et al. 2013; Cone and Myhre 2000; and Francois 2013). Farmers’ Markets (FMs): Noted for their aesthetic values and the ability to create an avenue for building community life, FMs have been growing extensively in the US for the past few years. FMs are mainly a strategy for making healthy food accessible for low-income communities (Project for Public Spaces). Customers of FMs are described as people who like cooking at home, pay more attention to the nutritional value of food than to its costs, and usually have specific health needs. And these kinds of customers go to FMs because they are associated with: food in season (fresh) and considered to be of higher quality; produced locally; and grown by someone known. To the farmer, FMs present an opportunity to escape transactions with middlemen and sell produce at retail prices. Farmers who take advantage of this opportunity include full-time or part-time growers as well as non-growers (produce dealers) and they are usually small-scale fruit and vegetable growers and dealers (Ruelas et al. 2008; Connel et al. 2008; and Griffin and Frongillo 2003). Community Gardens: With a history dating back to the end of the 20th century, community gardens are ascribed with the ability to address several public health issues. They give people an opportunity to eat nutritious food, engage in physical activity, and build social capital. Community gardens have also proven to be useful tools in managing crisis and food insecurity especially in urban areas. Key elements of community gardens that make them successful include local leadership and staffing, volunteers and community partners and skill building opportunities. Community gardens however face the treat of being removed in the name of other developmental needs such as housing and other public uses. 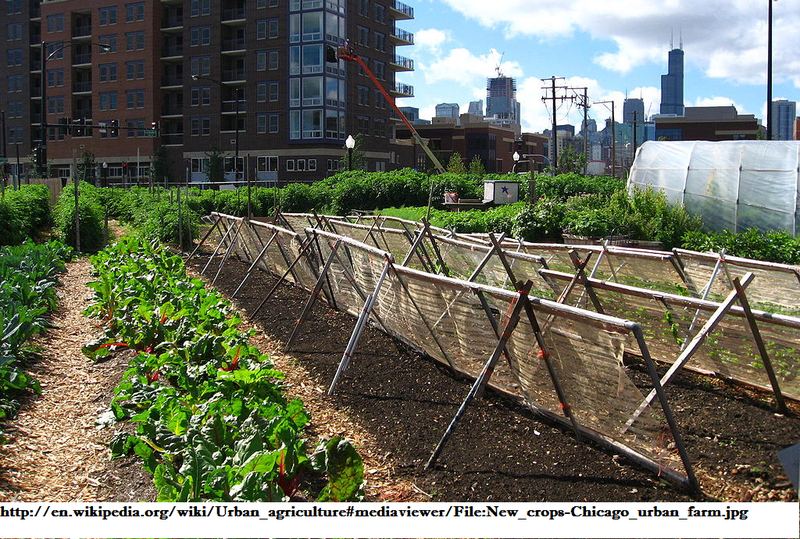 Looking forward into the future of community gardens, there is the need for stakeholder education, integration of community gardens into development, supporting more research on the issues and investment with long-term goals (Twiss et al. 2003; Turner et al. 2011; Shisanya and Hendriks 2011; and Voicu and Been 2008). Another area in the food and agricultural system of the United States (as in many other parts of the developed world) that has seen lots of consumers concerns in recent times is the well being of farm animals. From as early as 1877, there have been struggles between scientists and animal advocates. Individuals like Robert Gesell and his daughter Christine Stevens(Animal Welfare Institute) and institutions like the American Physiological Society, National Society of Medical Research (now National Association for Biomedical Research), American Society for the Prevention of Cruelty to Animals, Society for the Prevention of Abuse in Animal Experimentation, American Humane Association and the Humane Society of the US are noted to have been involved in these struggles. The early stages of the struggles had to do with what should and what should not be allowed in animal research. And in recent times, they have had to do with the methods of production used in animal husbandry and their effects on animal behavior (Parascandola 2007; Gonyou 1994; and Croney and Millman 2007). The basic reason for this growing concern is the fact that livestock that were raised on diversified farms with plentiful space and outdoor access for the animals, are now housed indoors for their entire lives, often in space allotments slightly larger than the animal itself. Interest groups formed by people who believe that animals suffer in confinement have opposed the so-called ‘factory’ farms to the extent that animal welfare issues are said to be the most controversial and publicized animal agriculture topic in recent times (Prickett et al., 2010). Some other animal protection advocacies and laws see animals as property and source of livelihood for humans. And so they see the protection of animals as protecting their owners from losing property and livelihood. Controversies over animal welfare are usually related to the conflict of interests between the benefits derived from practices on animals and the consequences of such practices on the lives and wellbeing of the animals (Croney and Millman 2007). 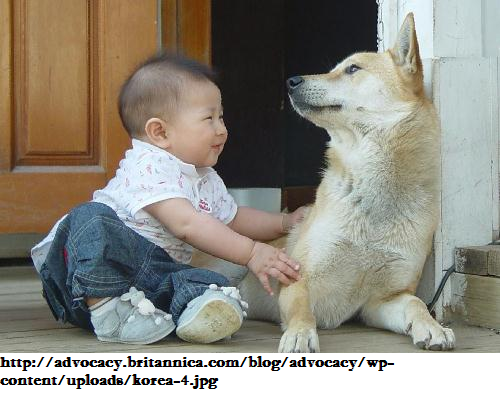 Although animal welfare is very well talked about, it still remains contested among advocates and interest groups. The debate has been on what the definition of animal welfare should be and a consensus is yet to be reached. The inability to reach a consensus is attributed to the fact that different interests groups view quality of life for animals in different ways based on how they value animals (Lund and Rocklinsberg 2001). People all over the world are increasingly becoming aware of and accepting the fact that we live in a complex socio-ecological system. The ability of this system to support the lives of all of us that are part of it lies in its resilience. It is therefore apparent that we all contribute our quota in making the world what we want it to be. The civic agriculture and animal rights movements in the United States of America, briefly described in this article demonstrate how people can make a difference by taking action. About the author: Ebenezer offei Ansah is a first year masters student at the Department of Community Sustainability at Michigan State and is interested in looking at the implications of farmer participation on the sustainability of cocoa certification in Ghana. Could you imagine only being paid $54 over an eight hour day harvesting 5,760pounds of oranges? That’s $0.02 per orange picked. Job security? Think again! Farmworker unemployment rates are double those of all wage and salary workers according to the 2008 National Agriculture Worker Survey (NAWS). Oh, and don’t forget about pesticide exposure and the frequent use of dangerous machinery! And, as if these conditions aren’t enough, farmworkers frequently face heat-related illnesses such as nausea, dizziness, heat exhaustion, heat stroke, dehydration, and even death – not surprising seeing how many are not allowed water or shade breaks during the day. Providing health care services to farmworkers and their family members is a significant challenge, as they experience multiple barriers to accessible health care. Furthermore, due to the nature of their work, farmworkers are disproportionately affected by environmental and occupational hazards (unintentional injury, pesticide exposure, respiratory problems, and heat-related illness or death… just to name a few). Moreover, farmworkers are more likely to suffer from chronic conditions such as diabetes and mental health conditions. The extensive list of health problems farmworkers endure is exacerbated by their frequent inability to obtain health insurance. According to the 2001 National Agricultural Workers Survey (NAWS), only 25% of farmworkers reported having some type of health insurance, as employer-sponsored health insurance is rare for migrant farmworkers. Farmworkers’ income levels would normally qualify them for most state Medicaid programs, but because of the migratory nature of their employment, minimum state residency requirements, varying state Medicaid eligibility requirements, and the lack of Medicaid portability from state to state, they are generally precluded from obtaining Medicaid and/or other state insurance programs. State methodologies for calculating annualized income and asset determination are also a barrier to obtaining Medicaid coverage. In many instances farmworkers exceed a state’s income eligibility levels because projected annual income level is calculated using the most recent pay stub rather than using actual yearly income. Additionally, most farmworkers do not have paid sick leave and cannot afford to take time off to see a health professional. For insured, underinsured and uninsured farmworkers, many health problems go unchecked and untreated until the farmworker requires the services of a more costly emergency department. Just who are we talking about here? Every year, the United States employs nearly two million seasonal farm laborers, approximately half of whom are migrants. The 2012 USDA Agriculture Census informs us that almost three-quarters of hired crop farmworkers are not migrants, but are considered settled, meaning they work at a single location within 75 miles of their home. This number is up from 42 percent in 1996-98. Among migrant workers, the largest group are “shuttlers,” who work at a single farm location more than 75 miles from home, and may cross an international border to get there. They made up about 12 percent of hired crop farmworkers in 2007-09, down from about 24 percent in 1996-98. More common in the past, the “follow the crop” migrant farm worker, who moves from state to state working on different crops as the seasons advance, is now a relative rarity. These workers make up just five percent of those surveyed by the NAWS in 2007-09, down from a high of 14 percent in 1992-94. In addition to exposure to the hot sun, sometimes even the crops are against them. For instance, tobacco harvesters, many in North Carolina, face a unique type of illness called Green Tobacco Sickness (GTS). Caused by absorbing a high level of dissolved nicotine through the skin, which happens when workers touch wet tobacco leaves, this illness is characterized by nausea, vomiting, weakness, dizziness, and sometimes an increase in blood pressure and heart rate. The report by Oxfam and FLOC about human rights abuses in NC cites that “moisture on tobacco leaves from dew or rain may contain as much as 9 mg of dissolved nicotine per 100 ml of dew, roughly equivalent to the nicotine content of six average cigarettes. On a humid day, especially after a recent rain, the average fieldworker may be exposed to as much as 600 ml of dew.” Exposure to high levels of nicotine increases body temperature, making farmworkers even more vulnerable to heat related illness and heat stroke. An unendingly vicious cycle. Despite all the negative forces at play, a number of federally funded organizations throughout the United States provide services for migrant and seasonal farmworkers through coordination, community organizing, information sharing, partnerships and training among migrant health centers and allied organizations. The Migrant Health Act was enacted in 1962 and called for the development of health clinics (MHC) dedicated to serving farmworkers and their families. Today, MHCs are funded as part of the Consolidated Health Centers program, yet retain their uniqueness as providers of care for the farmworker population. 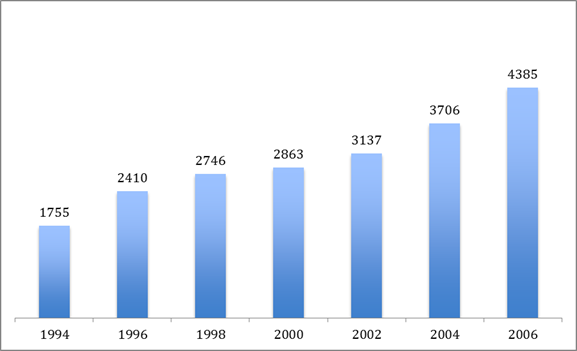 Since 2000, the MHC program has grown substantially. Funding for MHCs has more than doubled over an eight year period, increasing from $79 million to $171 million. Currently, 140 MHCs with approximately 1,150 delivery sites around the nation and Puerto Rico – delivering care to 807,000 migrant and seasonal farmworkers and their families each year. These patients make up about one-quarter of the entire U.S. farmworker population. Patients of MHCs are similar to patients in all health centers. However, comparatively, MHC patients have higher rates of un-insurance and poverty. Over half of all farmworkers are uninsured and 82% of farmworkers are at or below the federal poverty line. Not surprisingly, MHC patients are slightly less likely to have Medicaid when compared to all health center patients. To aid this problem, some MHCs deliver care through voucher programs. Given the critical role of farmworkers in the U.S. economy, the Migrant Health Center (MHC) program is an important and vital investment. MHCs remove barriers to care for farmworkers through their ability to provide preventive and comprehensive health care in the patients’ own language, provide treatment regardless of the patients’ ability to pay, locate in areas near migrant and seasonal farmworkers, and customize their services and hours of operation to meet their patients needs. MHCs are able to keep their patients’ costs down by treating their illnesses and injuries early so they avoid debilitating disease and do not have to seek expensive emergency room care. Photo: A migrant farm worker picks spinach near a mobile clinic on September 16, 2009 on a farm near Wellington, Colorado. 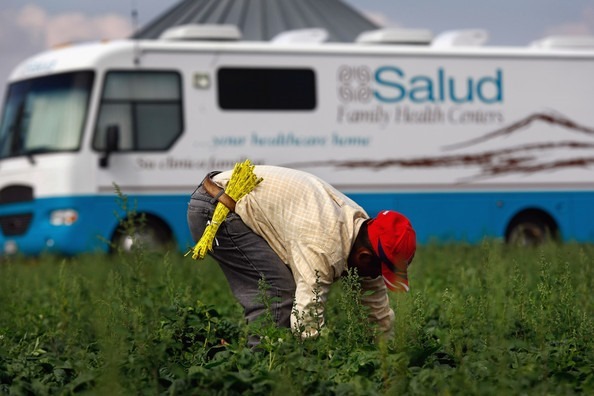 The Salud Family Health Centers sends the mobile clinic to farms throughout northeastern Colorado to serve the migrant population, most of whom are immigrants with little other access to basic health care. While funding of health care for undocumented workers has become a controversial topic in the health care reform debate, the federal government already funds basic care for such workers through grants to non-profit clinics, which serve one of America’s most vulnerable uninsured populations. Farm workers work hard in the fields to support themselves and their families – all while putting food on our plates and supporting our billion-dollar agricultural industry. They deserve access to medical services that address the multitude of work-related health concerns they face. 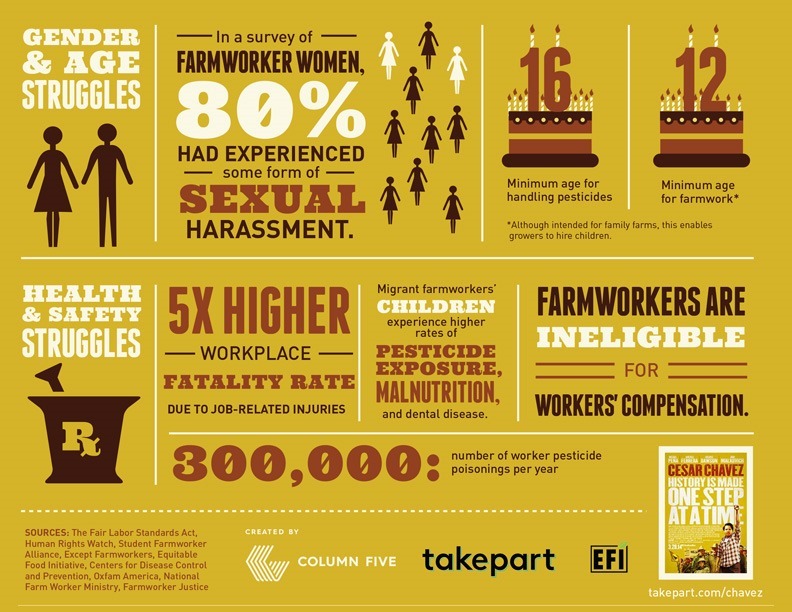 Additionally, farm workers deserve stronger workplace protections, such as water and shade breaks and protection from pesticides. You can support the efforts of farmworker organizations by becoming a supporting member: familiarize yourself with their case, offer your time, or provide what financial support you can. We can each do something to advocate for those who are the unacknowledged backbone of our country. They deserve nothing less. CIW is a worker-based human rights organization internationally recognized for its achievements in the fields of social responsibility, human trafficking, and gender-based violence at work. Built on a foundation of farmworker community organizing starting in 1993, and reinforced with the creation of a national consumer network since 2000, CIW’s work has steadily grown over more than twenty years to encompass three broad and overlapping spheres: Fair Food Program, Anti-Slavery Campaign, Campaign for Fair Food. 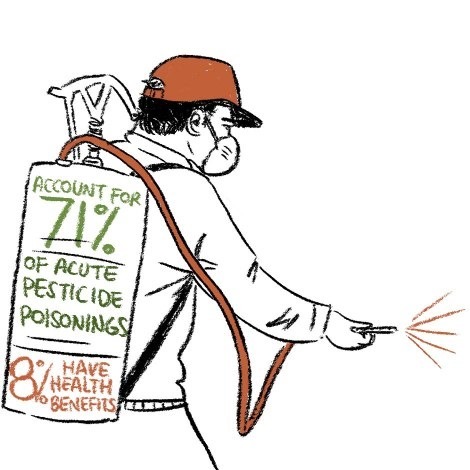 Pesticide Action Network North America (PAN North America, or PANNA) works to replace the use of hazardous pesticides with ecologically sound and socially just alternatives. As one of five PAN Regional Centers worldwide, they link local and international consumer, labor, health, environment and agriculture groups into an international citizens’ action network. This network challenges the global proliferation of pesticides, defends basic rights to health and environmental quality, and works to ensure the transition to a just and viable society. The United Farm Workers of America has over 25,000 workers under contract in California, Washington, Florida and Texas. With the passage in the fall of 2002 of historic legislation that strengthened the California Agricultural Relations Act, the UFW is beginning its biggest farm worker organizing drive in twenty years throughout California. Pineros y Campesinos Unidos del Noroeste was founded in 1985 as Oregon’s union of farm workers, nursery, and reforestation workers. In 1992, in response to grower retaliation against striking workers, PCUN launched a successful nationwide boycott against grower-owned NORPAC, Oregon’s largest food processor. In another campaign, PCUN recently won the first farm worker contract in Oregon’s history. The mission of Centro Campesino is to improve the lives of members of the Latino and migrant community in southern Minnesota through community organizing, education and advocacy. Centro Campesino is membership-based organization that was born and exists to create and demand positive social change. They are guided by their values of faith, hope, unity and justice. FLOC began in 1967 when farmworker turned organizer Baldemar Velasquez convinced a small grounp of migrant farm workers in northwest Ohio to come together for their common good. Initial successes generated strong reactions in the agricultural industry as FLOC members exposed labor exploitation. Since then, FLOC has built a membership of thousands of migrant farm workers by empowering them to demand better wages, working, and living conditions. The Farmworker Association of Florida is a membership organization of 6,500 farm worker families. The Association addresses wages, benefits, and working conditions, as well as pesticides, field sanitation, disaster response, immigration, and other community-based issues. Devin is a native of mid-Michigan where he grew up with vegetable, dairy, and commodity farming. He completed his undergraduate from Michigan State’s Lyman Briggs School in 2007 studying Environmental Science and Human Biology. Since graduating he has spent time managing Community Supported Agriculture (CSA) and market farms on New York’s Long Island and Hudson Valley. An active advocate for agricultural reform, he has worked with local, state, regional, and national institutions to strengthen US agricultural policy. Before returning to his native Michigan, Devin worked in Washington DC with U.S. Senator Debbie Stabenow on Agriculture, Health, and Trade policy. Since 2010 he has worked as an educator, farm manager, site developer and aggregator of all things Grown in Detroit, working with residents to develop a more robust local and regional food system in Detroit, MI. He has experience with brownfield development, curriculum development, small-scale farm operations, social enterprises, and business start-ups. Currently he is a graduate student at MSU in the Department of Community Sustainability focusing on regional food systems. His thesis work through the Center for Regional Food Systems (CRFS) will be looking at small farm viability with urban, peri-urban, and rural producers through collaboration with the Hoophouses for Health program and growers in Detroit’s Grown in Detroit cooperative. His research interests include: small farm viability, supply chains, food hubs, farm-to-institution, agriculture-nutrition linkages, public health, social entrepreneurship, community food systems, social networks and climate resilience. Diversity is key to the success of a small farm. Whether that be in biodiversity of plant and animal life on the farm or in diversifying the farm business. We all know what happens when you put all your eggs in one basket… that age old adage sums up one of the reasons why diversity is essential to the farm model. As the indie folk band, the Avett Brothers, might say, “all it’ll take is just one moment, and you can say goodbye to how we had it planned.” Should natural disasters or other unexpected problems occur during the season, diversity can save a farm from losing everything. There are many ways to incorporate this into a farm, and Value Added Products are a great example of expanding a farm business through reimagining and utilizing the products already available. This can be in the form of jams, jellies, syrups, sausages, sauces, pickled vegetables, pesto, garlic braids, dried herbs, honey, baked goods, and more! 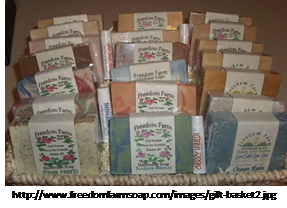 Even non-edibles like handmade soaps are a type of value added farm product! Value Added Products (VAP) are a way to increase sales, use excess farm produce, expand the market season, and grow community reach. Farm products are being transformed into household and food products and both farmers and consumers reap the benefits – farmers with a full wallet and customers with a full stomach. – A Quality Business Plan. Start small. Be smart. Think it through. Just like any business venture, there are many things that need to be taken into account. Liability insurance for your business, properly inspected and approved kitchens to work from, and a sustainable and manageable business plan are all crucial parts of getting into the VAP market. Incubator kitchens are beginning to pop up around the states. These are a great way to make sure your product follows all USDA guidelines for safe food preparations. Visit www.culinaryincubator.com to find the nearest shared kitchen near you (there are over 370 listed on the webpage, searchable by location). 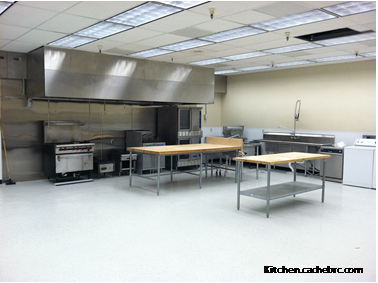 Many of these kitchens might also have additional resources needed to begin a food product venture – food safety courses, labeling needs and requirements, community support and brainstorming, and someone to help you through all the business and government requirements to get into the VAP market. 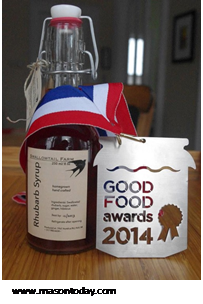 Don’t have a culinary incubator in your area? Don’t get disheartened – use the resources that are already in your community – you never know when a neighborhood center, church, or school might want to support a local venture. Another resource to take advantage of: the local or regional Extension office! In our area of Michigan, Michigan State University’s Product Center offers counseling and development services for those looking to break into VAP’s or those who are looking to grow their existing business. They also host an annual Making It In Michigan conference for agricultural entrepreneurs, producers, buyers, and processors http://productcenter.msu.edu/miim. Decide where to sell your product and then get it out there! Bring them a free sample! Make yourself and your product known! Value added products certainly aren’t the be-all and end-all for small and medium farms. However, they offer a promising opportunity for farms specializing in a wide range of different agricultural products. VAP’s can increase income and community presence while keeping small farm businesses running into the future. If a farm has the time and the resources (people, product, etc.) the addition of Value Added Products can be an indispensable means of keeping a farm business in business into the foreseeable future. VAPs in the news: MSU received $2.6 million in funding to create the Food Processing and Innovation Center – where companies can come to create and commercialize new food products! Funding is from the Economic Development Administration of the US Department of Commerce. Randy Bell, an Extension Educator for Community Food Systems, states that “there is considerable opportunity for Michigan to be an even bigger economic powerhouse when it comes to capitalizing on its rich agricultural diversity.” This food processing and innovation center will allow Michigan businesses to scale up and meet market demand. Much of the equipment that will be available to producers at this Center is of a cost scale many farm businesses would not be able to meet. Not only will the Center allow business to grow, but it helps to take away part of the inherent risk that any business venture includes. Kathleen is a graduate student in Community Sustainability at Michigan State University. She has six seasons experience in urban and rural agriculture, and an undergraduate degree in Public and Community Service Studies from Providence College. While at MSU, Kathleen will be focusing on urban community food and agricultural systems. A few years ago, at this time of year, I would have been in Mali standing in a field of millet with two or three other friends quickly moving our way down rows of grain. After college, I moved to Mali and lived and worked in a small village called Zana. In Zana, I found a new way of living and developed a passion for agriculture and the place I lived. To quote my final post from a blog I wrote at the time “For the last two years, I have lived in a place where I knew where every road led to and had biked them all. I knew where every family lived and everyone knew me (not every hard when I am the only white guy around). I could go out into the bush to collect fruit and I farmed my own food. The earth and the labor of my friends and me fed the village.” I came back to states ready to start a farm and get involved; however, starting a farm in the US was a lot more of a daunting endeavor than it was in Mali. Not only is farming a major financial investment, but the learning curve is steep. 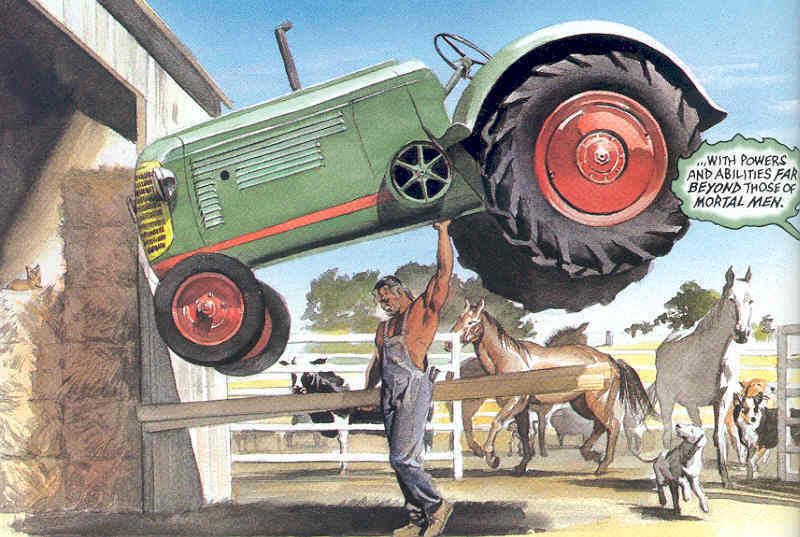 Additionally, many friends and family tied agricultural careers to a life fraught with hardship. 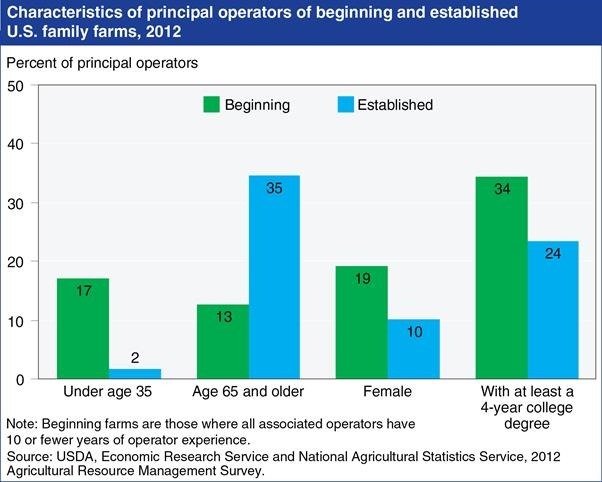 This perception was not helped during the time where I worked on organic farms in Montana where all of the farmers that I worked had second, more traditional, careers. It’s not just perceptions, but data also seems to back the pessimism of my friends and family. 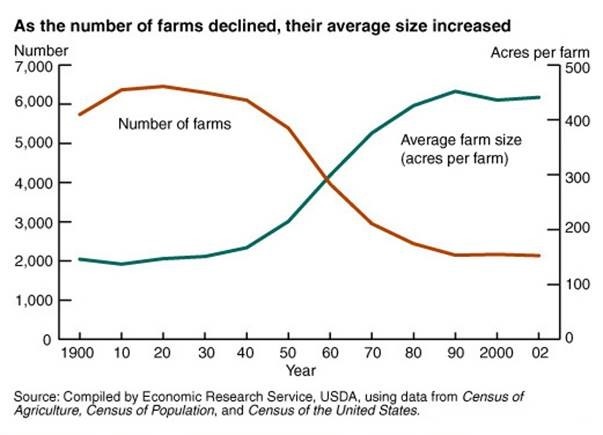 Farm sizes are getting larger, income from farms is variable and most family farms make the majority of their money from off-farm sources. One report by University of Wisconsin Extension estimates that costs of planting an orchard and waiting for it to reach productivity to be over $12,000 an acre, not counting land prices. What’s a new or small farmer without preexisting wealth to do? There are a number of resources that are available for farmers to take advantages of on both the state and federal level that can make the prospect of starting an agriculture business more palatable. I’ll explore a few of these resources in this post. First, let’s talk about funding opportunities available at the federal level. To begin with let’s talk about grants. There are the number of different grants offered though USDA looking to assist farmers in growing their businesses. The National Resource Conservation Service, within the USDA, has a number of different grants aiming to promote conservation on farms. For instance, if you’re looking to install a new drip irrigation system to improve water management, then you could apply for an Agricultural Management Assistance grant. Other grants offered by NRCS include the Conservation Stewardship Program which focuses on improving the quality of water, soil, air and habitat associated with the farm. Lastly, the Environmental Quality Incentives Program provides producers with a contract that will issue funds to help accomplish a conservation plan in addition to providing technical assistance to growers. Another useful grant within the USDA is the Value-Added Producer Grant is aimed at taking farmers further down the value chain by assisting in giving funds to growers to develop and market value added products. To see the benefits that value-added products I would recommend checking out Kathleen’s blog post. There are a number of other grants available growers that are not associated with the USDA, but I will not go into detail on each of them. The National Sustainable Agriculture Information Service does a good job of describing these non-governmental grants in a database that it updates regularly. Though it is no longer updated, a free source of information on applying to grants for farmers is the blog Ag Grant Guru. A great source for further local and federal assistance is www.start2farm.gov. If you go there, you can search for educational, networking, financial and technical assistance by zip code. It makes sense for one to be informed on the tools available to you before starting a new venture. One interesting program in Michigan is “Hoophouses for Health” where farmers can receive a zero interest loan to build a hoophouse that they pay back by selling fresh fruits or vegetables at farmer markets to low income individuals with vouchers distributed at Head Start locations across the state. This program not only increases production of fruits and vegetables, but gets them in the hands of traditionally vulnerable populations. While grants and programs like Hoophouses for Health are becoming more important to farmers, many farmers are still receiving a lot of funding though loans. For many years loans and access to credit have been important to agriculture and this seems unlikely to change anytime soon. A publication though extension at UC Davis gives some insight into things growers should know before applying for a loan. For instance, it was news to me that if I’m approaching a creditor for a loan on a farm it is expected that I bring detailed maps and photos of the farm. The National Young Farmers Coalition also has good information of a number of other ways to raise funds including crowdsourcing. In addition to these funding resources, there are a number of educational programs aimed at new farmers here and a guide towards setting up an agricultural business is located here. 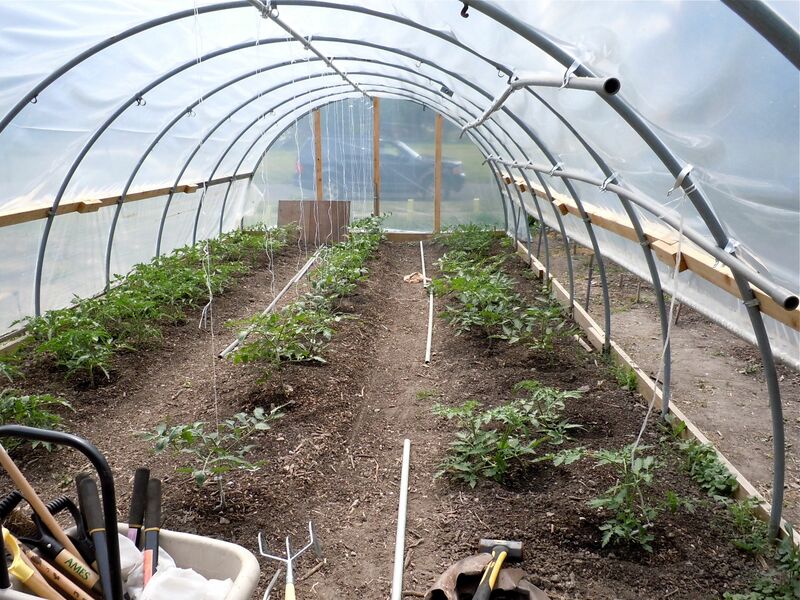 Grady has another blog post that looks further into one example of an education option for new organic farmers in Michigan. 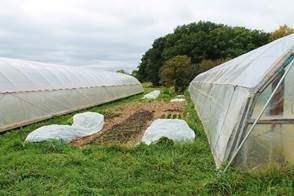 Lastly, incubator farms are a way for growers to begin farming without having to buy land. Farming involves a lot a practical skill that is best learned on the job, so having a chance to farm without the major financial investment of buying a farm. One successful incubator farm is the Intervale Center in Vermont. A more local example to Michigan is the Lansing Roots Farms. Leasing land is also option and depending on where you live it might be an affordable option. For instance, in Lansing, MI the Ingham County Land Bank has land available to lease where urban agriculture ventures can start. To close, I’d like to tie the post back to the beginning by mentioning Mali. Now it is clear that there are a number of resources available to new farmers, and I hope this post is useful in identifying a few. However, the community aspect of farming in West Africa is something that we should embrace and strive towards. Laura Delind speaks of tying local and urban agriculture to communities and incorporating a sense of place into our food system. Delind also mentions valuing people not only as producers and consumers, because people are so much more than their money. It is not enough to have a situation where people interested in agriculture can pursue their passion, but we need to work together as a community to make our food system not only more sustainable one , but a happier one as well. Perhaps this needs to be the content of another post. Jim Cave is pursuing a Master’s Degree from MSU in the Department of Community Sustainability with a specialization in Ecological Food and Farming System. He did his undergraduate studies at Montana State University-Bozeman in Political Science. After serving as a Peace Corps Volunteer in Mali, Jim experienced a renewed interest in Agriculture, especially on how the process of scientific innovation reaches growers. Jim’s Master’s project involves assessing how tart cherry growers in Northern Michigan react to and interpret soil health tests with the end goal of improving these tests. In the future, Jim wishes to work in agricultural or conservation extension. In addition to his work as a student at Michigan State, Jim is the Peace Corps Recruiter at Michigan State University as well as the General Coordinator for the Community Sustainability Graduate Student Organization. Additionally, Jim has assisted in the development of an online course on agriculture nutrition linkages for USAID. restaurants, knowledge into its actual origins is limited. In fact, only 2% of people live on farms in America today resulting in very few people learning the methods of farming the traditional way of one generation passing down knowledge to the next. However, individuals without farming backgrounds are not without available resources for learning the art and science of farming. A number of universities across the country have resources available for beginning farmers. 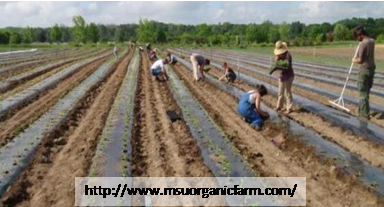 One option available here in mid-Michigan is at Michigan State University at the MSU Student Organic Farm. The student organic farm started in 1999 and has since expanded to include 15 acres of organically produced vegetables, fruits, flowers, herbs, and livestock. This production supports a year-round community supported agriculture (CSA), an on campus farm stand, and supplies produce to MSU’s dining halls. The production and distribution models implemented on the farm take a significant amount of knowledge and ability which is now available to non-MSU students through a 9-month long Organic Farmer Training Program (OFTP). This hands-on program is designed to teach people all the skills necessary to manage the production side of owning a farm as well as the business components necessary for being financially successful. In order to help further explain the opportunities available to interested individuals through the OTFP, I travelled to the student organic farm (SOF) and met with the director of the OFTP, Jeremy Moghtader. Jeremy has been farm manager at the SOF since 2004, and has been involved with the OFTP since its beginning in 2007. During my time talking with him, he discussed the importance of teaching people the information that is no longer passed on from parents to children. His students learn to sow seed, prune fruit trees, harvest vegetables, and raise cattle, pigs, and chickens. He emphasized the importance of year-round vegetable production for making a small scale farm profitable. Further, if you are at a stage in life where you feel as though you are too young or too old to get into farming, that is likely not the case. Jeremy highlighted that in the OFTP program he has people enrolling in all different walks of life. 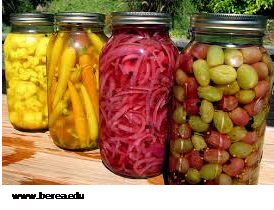 Some students are older (even into their 60’s) and just now wanting to get into small scale food production. These older students often have more capital than the younger students and many times already have land and are just looking to develop the skill set necessary to utilize it. The younger generation of students are as young as a traditional undergraduate student simply looking for an alternative to the traditional educational system. In addition to different ages, people join the program for different reasons. Some people join for more personal reasons such as health or concern for the environment. Others join for the simple reason that it makes economic sense. 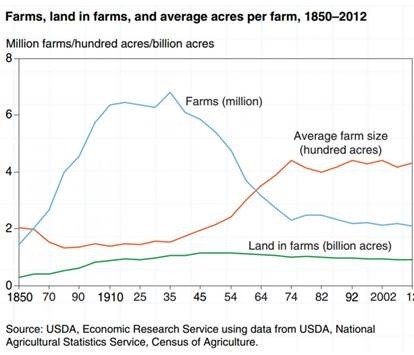 Land has gotten so expensive that it does not make economic sense to purchase a large tract of land for more conventional farming. Rather, a small plot of land is more obtainable for many people, making small scale intensive organic farming the more practical option. Whatever your reason for wanting to learn how to manage and operate a small scale organic farm, and whatever your age, the OTFP program at MSU might be just what you need to push you past the threshold for success. Although no statistics are available in regards to the success of the students, Jeremy indicated that many graduates have gone on to do precisely what they had wanted to do when they applied to the program. 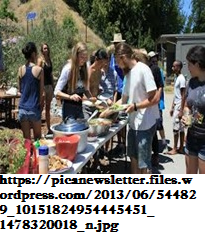 For some students, that meant finding a management position at an organic farm or large CSA while other students (mostly the older ones) have successfully started up organic farms (whether for sole income, or as a hobby farm to supplement their current income) on land that they had already owned. One of the important aspects of the program is that every student is required to develop personal learning plans which allows them to format their learning to fit their ultimate goals. If such a program does perk your interest, check out their website for more information. If the program does interest you, but you live in a different region in the USA and the distance is just too great, consider enrolling in similar programs available through the University of Vermont, and UC Santa Cruz. Buying food is a good option for many people, but learning to grow your own gives you a whole new appreciation as to the effort that goes into that food, and can even supply you with more food security in the future. As the old proverb goes, give a man a fish and you feed him for a day; teach a man to fish and you feed him for a lifetime. Similarly, if you teach an individual to farm, they are fed for life, and that is exactly what these university programs are designed to do. 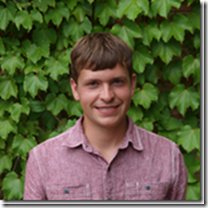 About the author: Grady is a graduate student in the Department of Plant, Soil, and Microbial Sciences at Michigan State University working with the USAID’s Legume Innovation Lab investigating the genetics responsible for disease resistance in common bean in East Africa. In addition to his research, he is involved in the Ecological Food and Farming Systems Specialization at MSU as his interests range beyond cultivar development and would someday like to start a small sustainable farm of his own.